Tuning guitars and basses is an unavoidable necessity for any player, and is something you'll be doing more times than you'll care to count. The guys at TC Electronic have made that task so much easier and faster thanks to their PolyTune technology. The TC Electronic PolyTune 3 is the next level for the PolyTune 2, and includes the Bonafide Buffer, which keeps your signal and tone perfectly clean over the longest distances. With its ultrabright display, groundbreaking polyphonic tuning mode, insanely fast and accurate strobe tuner, the Polytune 3 pedal will serve as a massive upgrade for your pedal board. Staying in tune is without a doubt the most important thing in music. 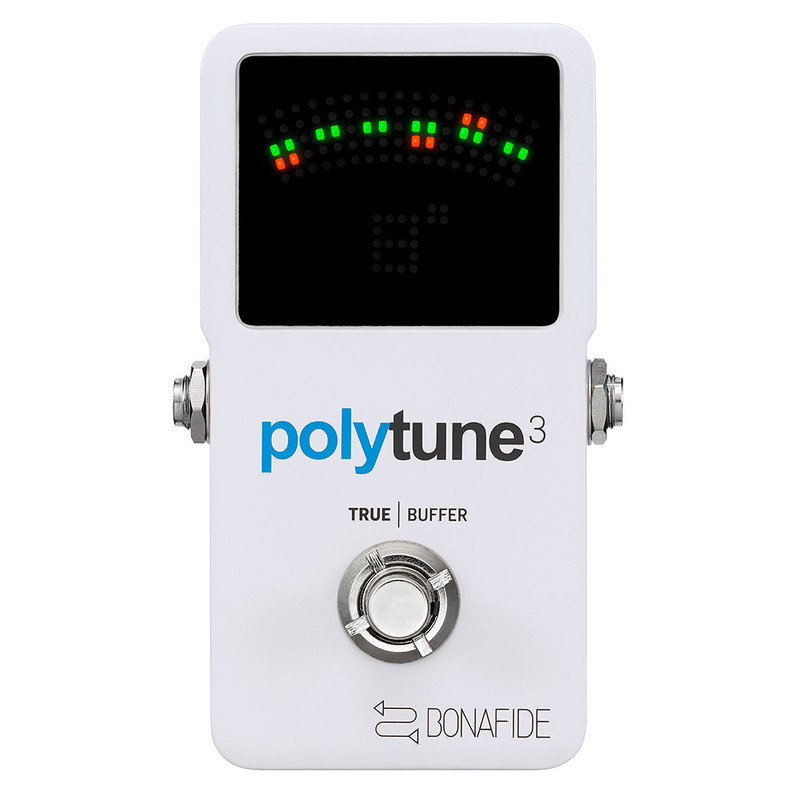 With PolyTune 3 you don't just get a tuner, you get the most reliable polyphonic tuner in the world. So besides getting a super-fast and precise tuner, you also get piece of mind. It's the pedal that just keeps on giving. As if improving TC Electronic's award winning PolyTune technology wasn't enough, they've also managed to cram 109 ultra-bright LEDs into a miniature display to make sure that no matter what the situation, you will get an instant and clear readout on whether you're in tune or not. And you know what that means ... less time tuning and more time for rockin'! TC Electronic's engineers actually managed to get +/- 0.1 cent of tuning accuracy. So whether you just need a quick tune-up on stage or want to setup your intonation with incredible precision, the TC Electronic PolyTune 3 has you covered.